When you have leftover Salsa Lime Chicken with Cilantro, make a Mexican Salsa Lime Chicken Omelet for breakfast the next day! So, you have just made my Pressure Cooker Salsa Lime Chicken with Cilantro Lime Rice, and you have some leftovers and don’t know what to do with that amount of chicken.We don’t like to keep leftovers for very long in this house. Using them up straight away the next day, is always my preference, if possible. 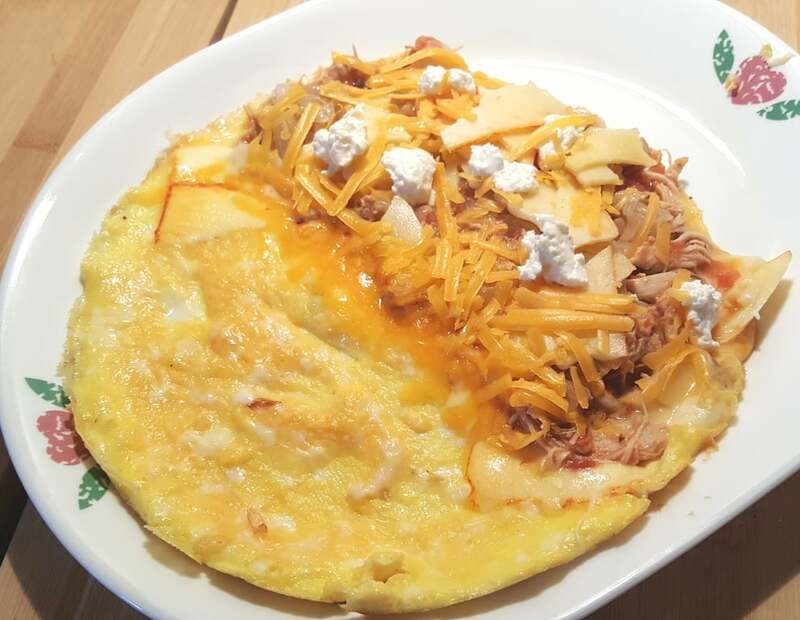 How about a Mexican Salsa Lime Chicken Omelet for breakfast? Sounds yummy to me. Omelet making can seem scary and difficult, but don’t let it scare you away. Trying to flip a stuffed omelet to cook the other side, can be messy and often times, causes a total break of the poor Omelet. Here, I will teach you some tricks to make perfect Omelets time and time again. 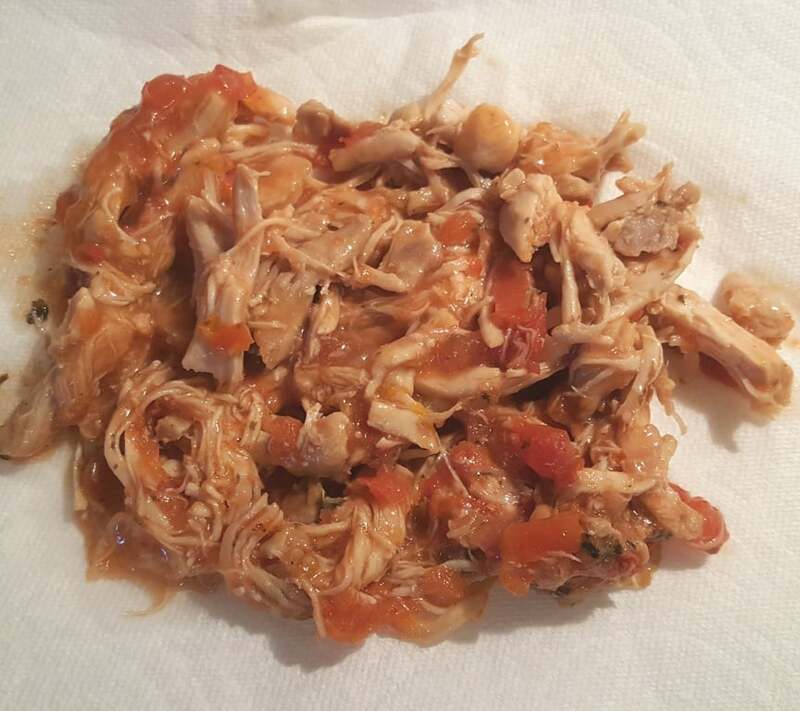 My Pressure Cooker Salsa Lime Chicken has quite a bit of liquid in it, which we don’t want for our Omelet. Place the leftover Chicken on a paper towel, so any excess liquid will drain. The Chicken will still be nice and moist and still have the goodies that are in the sauce, just no excess water. While the chicken is draining, heat up your Lodge 10.25″ Cast Iron Skillet or stainless steel skillet. 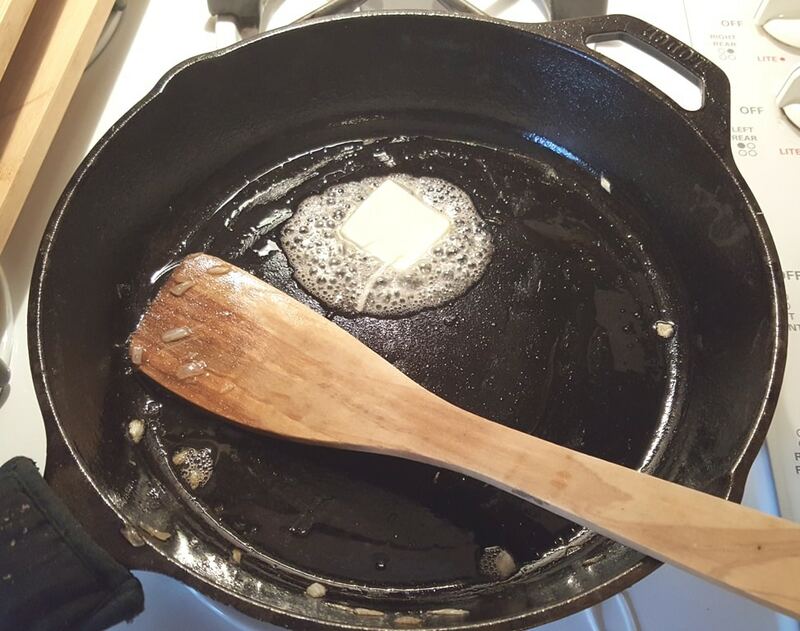 It is always important to heat your skillet, prior to adding a fat. This will make Cast Iron and stainless steel, non stick. I never use non-stick cookware, so I won’t comment on that. Once your Skillet is completely heated to medium heat, add a little oil and a pat of butter. If you keep Bacon Grease around, add some of the Bacon Grease instead of the Oil and Butter. Toss in the diced Onions and cook until they are translucent and caramelized. 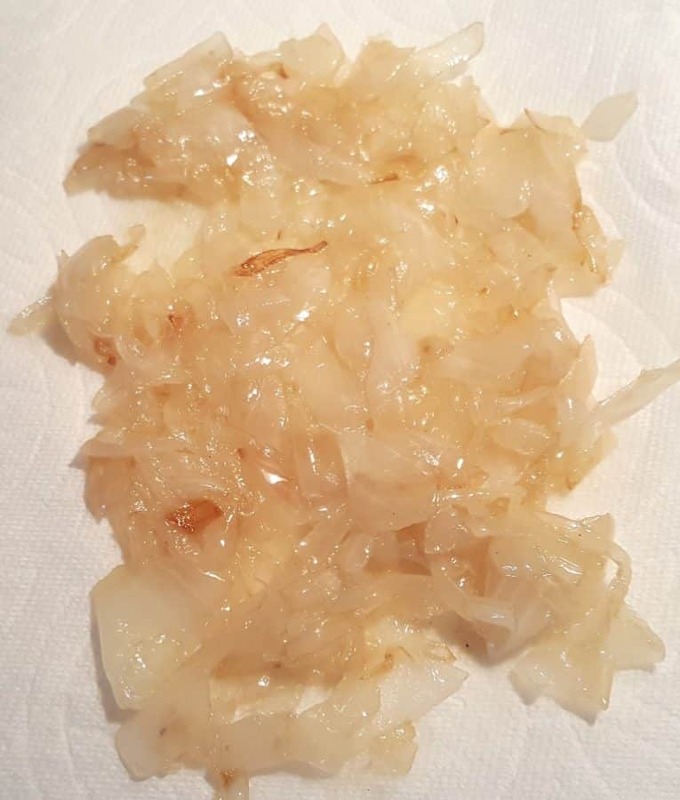 Transfer the Caramelized Onions to a paper towel. The paper towel will absorb some of the grease. For two, maybe three servings, I like to use five eggs. I generally make one large Omelet and cut a piece for my husband and myself. For individual Omelets, just divide the recipe in half and follow the same procedure twice. Some people like to add milk when they Whisk up their eggs. Others add a bit of water and Whisk. IHOP adds a bit of pancake batter when they prepare Omelets. I have been known to add a bit of Sourdough Starter, when I Whisk up my eggs to make an Omelet. But, for fluffy eggs, all you really need is a dash of ice cold water. So, add a bit of ice cold water to your eggs and Whisk them up well. 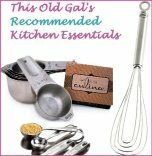 I love this Rösle Stainless Steel Flat Whisk and it still remains my favorite kitchen tool. I use it in almost every recipe. Wipe out your Skillet, if you like. I didn’t. If you have Bacon Grease, add some in now. Otherwise, use Olive Oil and a pat of Butter. 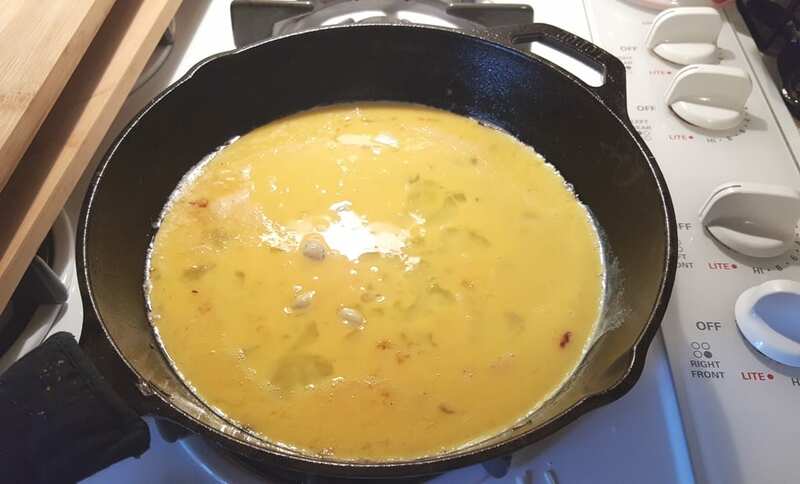 Wait for the Skillet to heat up again and pour in the Eggs. I have the gas stove at about halfway between medium and high. You don’t want the Eggs to cook super fast on the bottom, while the top side stays raw, so, play with the heat setting, so that the Eggs cook evenly. The edges should immediately start to cook and turn a lighter color. 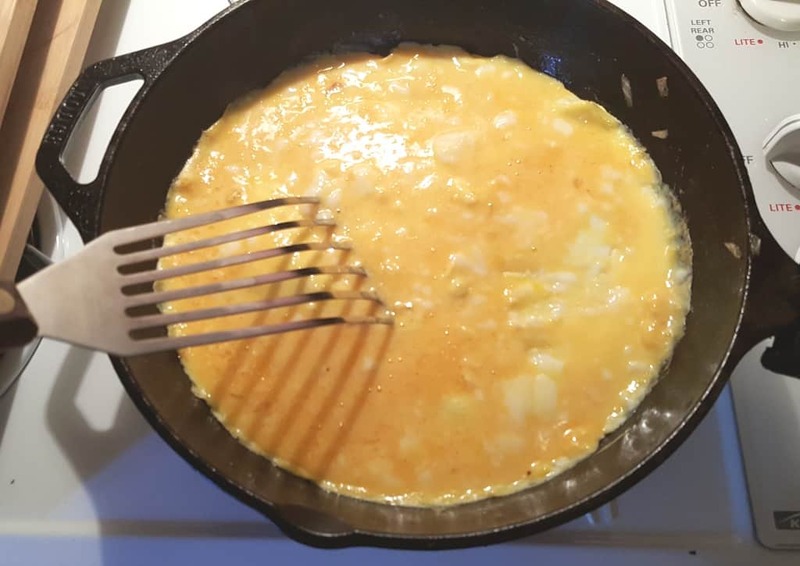 Using your Thin Slotted Turner, gently poke the parts of the Omelet that appear to be cooked and puffing up, so that the uncooked eggs will slide under the cooked parts. Add the Salsa Lime Chicken and the caramelized onions to one half side of the Omelet. The Omelet is not yet fully cooked and this will allow the eggs to continue cooking, while warming up the chicken. 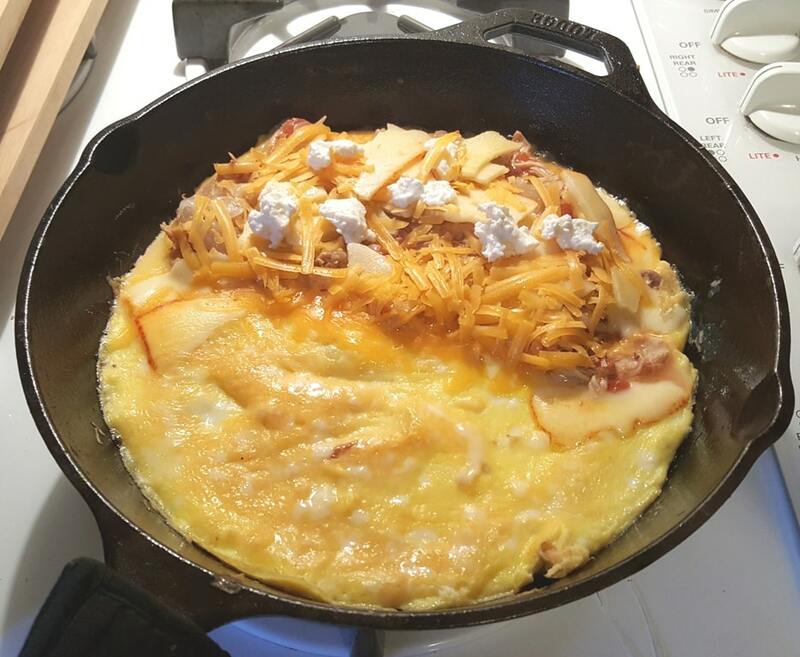 When the eggs look like they are almost completely cooked, place the cheese on top of the Salsa Lime Chicken. If your eggs are not fully cooked by this point, lower the temperature and cover the skillet for a minute or so. Carefully slide the Omelet onto a Serving Plate. 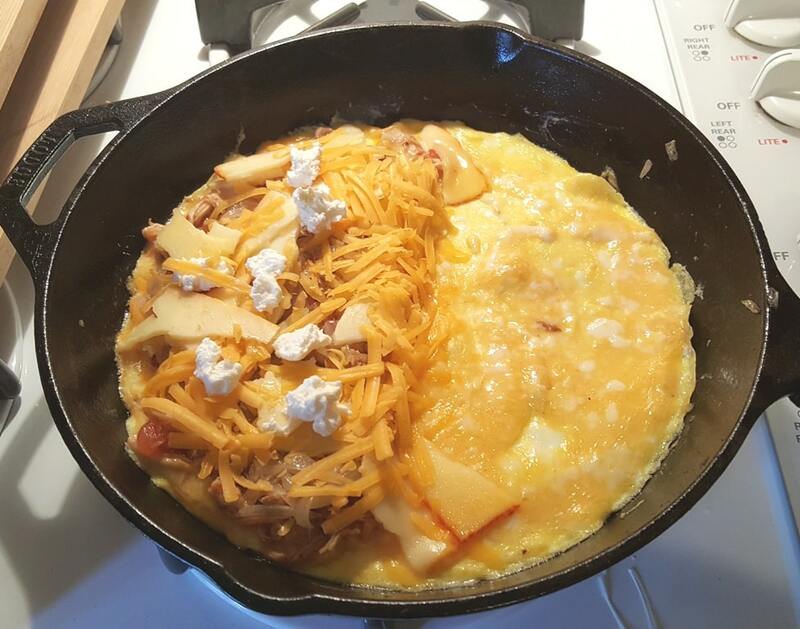 The entire Omelet should literally, just slide right out. Don’t worry if your cheese is not fully melted. That is actually good. You don’t want the cheese to be a gooey mess. Once you fold the Omelet, the heat and steam will melt the cheese to the perfect texture and it will get gooey inside. You don’t want your cheese to be running out all over the place before you plate it. Using a good Thin Slotted Turner, fold over the empty side of the Omelet onto the side with all the good stuff. 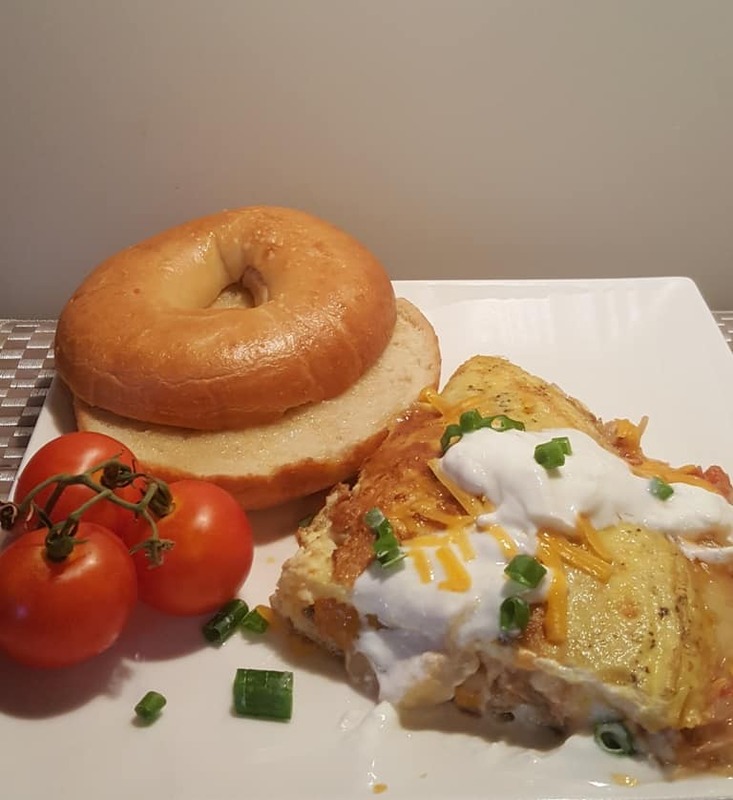 Now you know how to make a Mexican Salsa Lime Chicken Omelet Recipe. It’s quite easy this way. 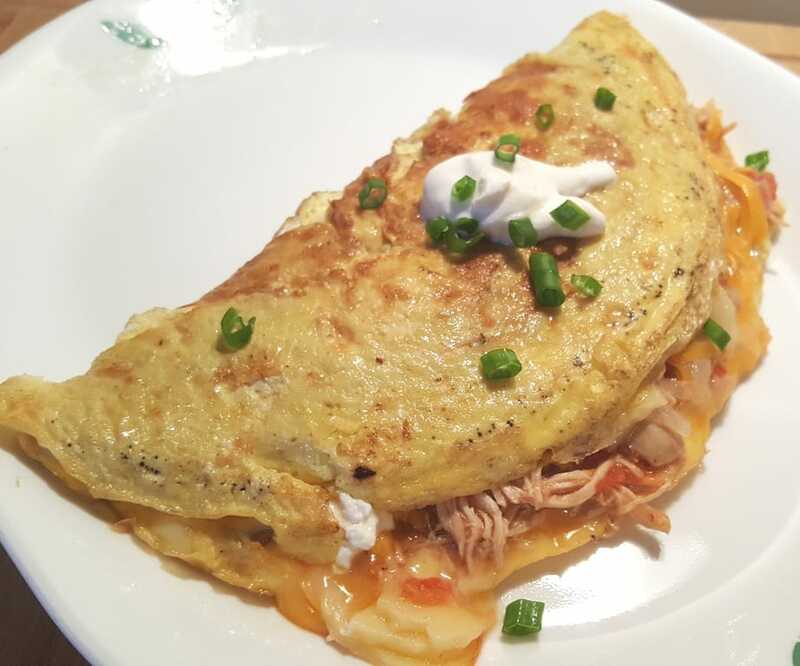 You can make delicious Omelets with leftover Chinese BBQ Char Siu Pulled Pork, Chinese Take-Out Beef and Broccoli, and so many more leftovers. Looks delicious, doesn’t it? Since I make my own Instant Pot Homemade Greek Yogurt, I topped it with Homemade Yogurt, rather than sour cream. And of course, a bit more cheese. Now that you know how to make an Omelet, choose your own goodies to stuff inside. Serve with an Air Fryer Perfectly Toasted Bagel. Wanna know a secret? That’s my plate up above, but, well scroll down a bit and I’ll tell you what really happened. Pair your Omelet with my Air Fryer “Greasy Spoon” Home Fried Potatoes or my Air Fryer Radish Home Fries for a Low Carb option. Here is how my plate looked originally. See my pink Mixed Berry Toasted Bagel with cream cheese. How silly does that look? With an Omelet, I don’t think so. I practically grabbed my husband’s Toasted Bagel out of his mouth and put it on my plate and re-shot the picture. I was embarrassed to post the Toasted Bagel I actually ate because it doesn’t go with the Omelet. It sure was good though! 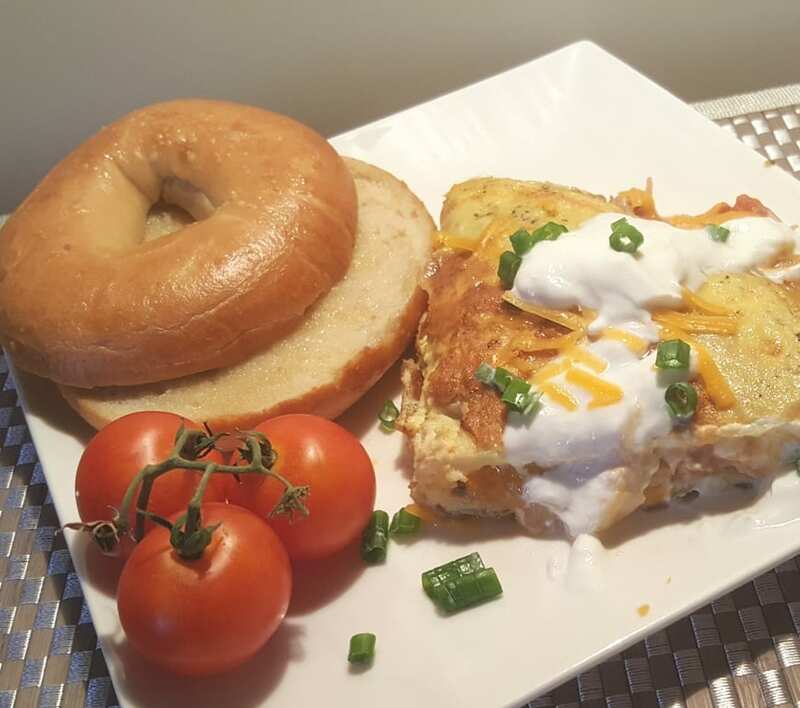 For another delicious breakfast recipe, try my Pressure Cooker Low Carb Mini Mushroom Quiche Egg Bites or my Pressure Cooker Blintz Soufflé recipe. Place leftover Salsa Lime Chicken on paper towel to drain excess water. 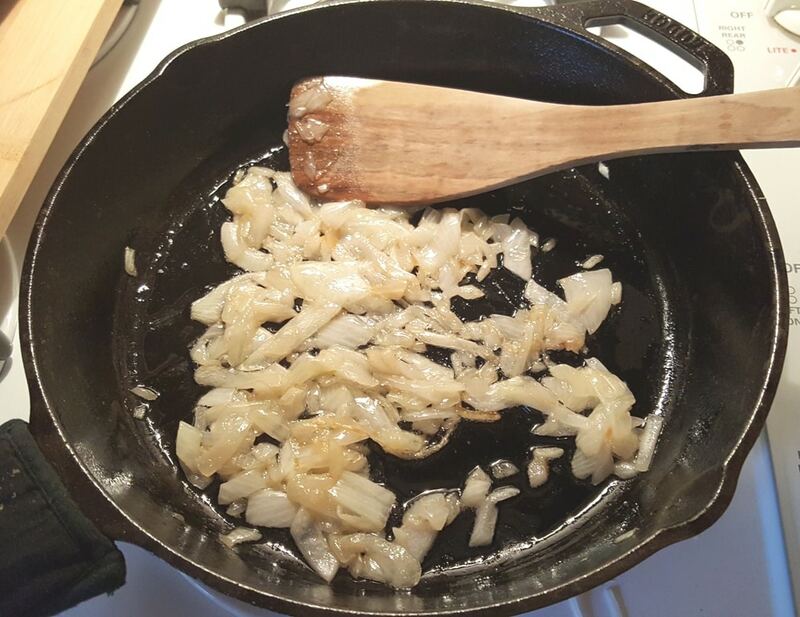 Using medium high heat, allow Skillet to fully heat and then add grease/oil. Add Onions and cook until caramelized and then transfer to a paper towel. Lightly wipe out Skillet and add more Grease/Oil, if needed. Pour in Eggs and cook until Eggs are no longer completely loose. Place Salsa Lime Chicken on one-half of Omelet. Add Onions and allow the Omelet to continue cooking. 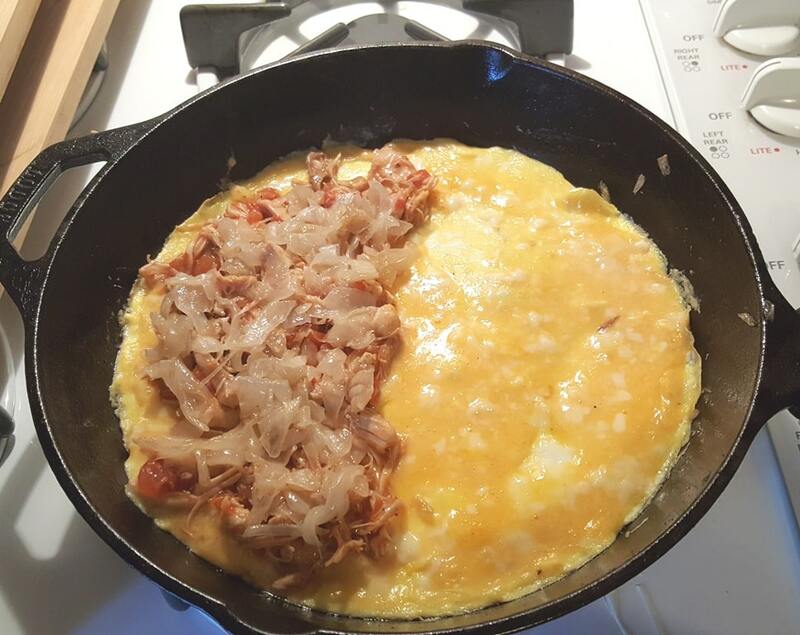 When Omelet is almost fully cooked, add shredded cheese and cream cheese. 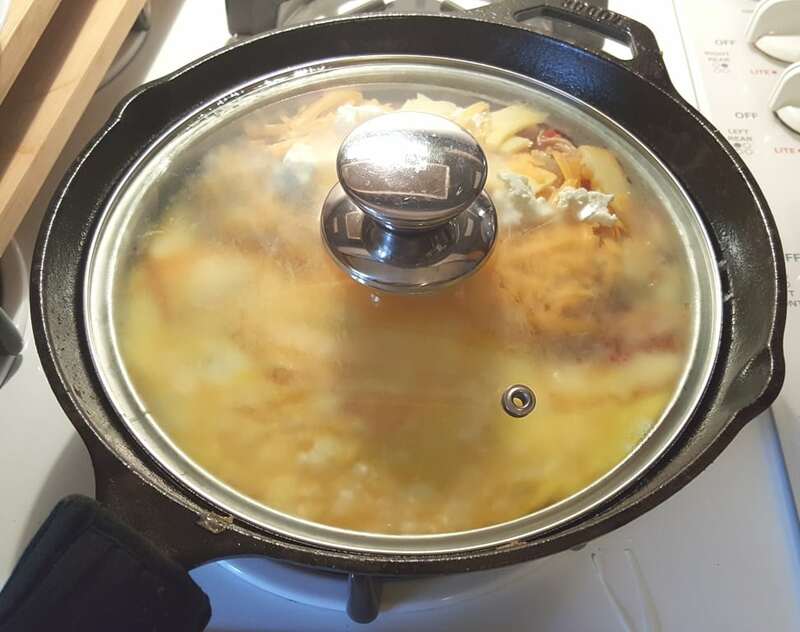 Cover Omelet with lid, if not all the way cooked and allow to finish cooking. Top with Homemade Greek Yogurt/Sour Cream and Scallions. 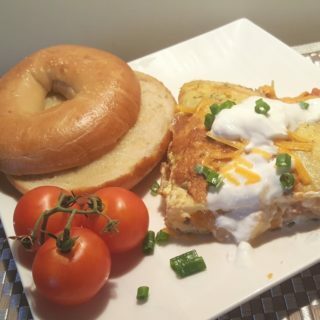 PIN this Mexican Salsa Lime Chicken Omelet Recipe! Yummy!! 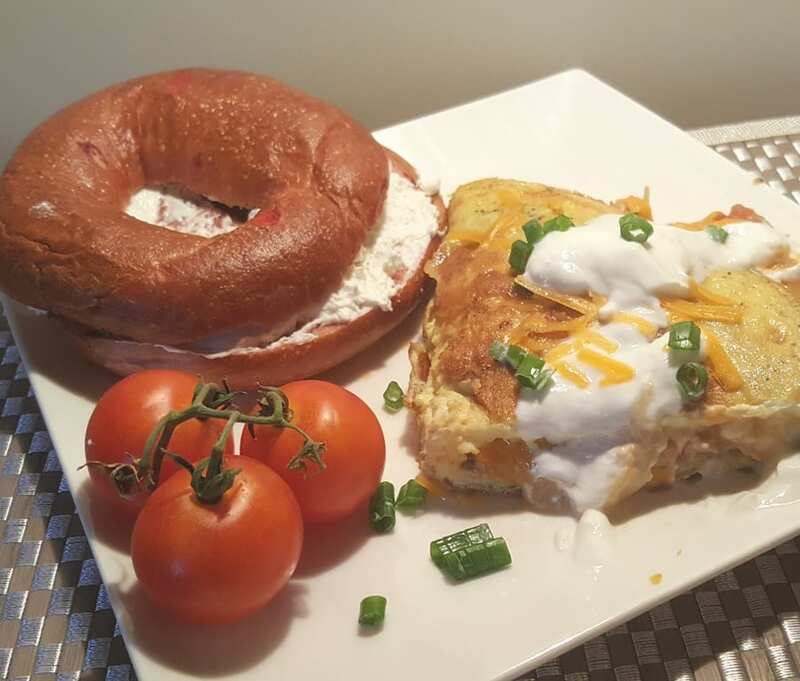 I love omelettes but never thought of adding cream cheese! Thanks Jill!